Google Shopping is a Google service that helps Internet users in finding and buying products on the internet. For merchants, Google Shopping can be used to promote products on top of the Google search results. As a result, you can reach the shopping internet users and attract more visitors to your website, in order to sell more through your online store.A�Let us help you to get the maximum out of your webshop! To attract these visitors, it is important to obtain top results within Google. We guarantee this for you. We are certified for setting up Google Shopping campaigns so we can help you to maximize the revenue through these campaigns and you sell the products you like. We can target these campaigns on a local, national and international basis. Just let us know what products you would like to sell and where you would like to sell the items. We will take care of business! 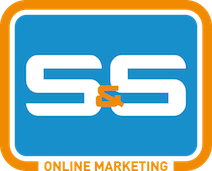 S&S Online Marketing is a specialist withinA�Google Product Marketing. We follow the evolution of Google, which is why S&S Online Marketing has been specializing in Google Product Search Marketing since 2010. Our experts have the knowledge and experience needed to give you the top positions within Google Shopping. Are you interested in Google Product Search Marketing or do you have any questions? Please feel free to contact us at: +31 30 300 36 61 or use the contact form.